As a homeowner in Syracuse, gutter installation and repair should be at the top of your to-do list. Maybe you’re wondering if the hassle of installation and the cost are worth it. 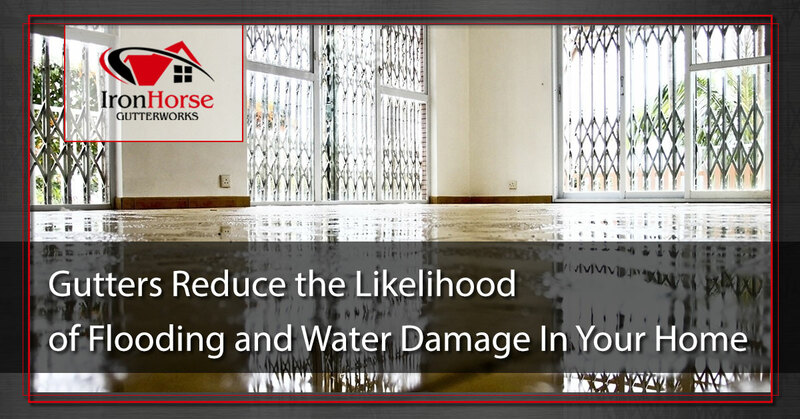 Water causes more damage to homes than anything else. Simply put, gutters take water away from your home. Gutters will save money in the long-term and protect your home from expensive repairs. 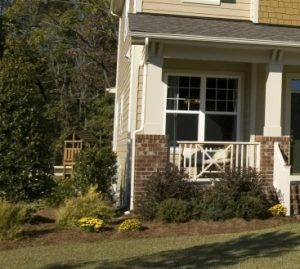 They preserve your siding and foundation and ensure the overall health of your home. Do you already have gutters and are unsure of their structural integrity? Call Iron Horse Gutterworks and let us help. We will handle the installation and repairs for you. Be prepared for the rainy season with assistance from our professionals. When homes are built to code, they are situated on a slight slope to guide runoff away from the foundation. If you don’t have gutters helping to direct the flow of water away from your roof and home, this could lead to massive soil erosion. This problem can quickly escalate with each successive rainfall. If you notice a line in the soil running parallel to the foundation of your home, this is an indication that you have soil erosion. Installing gutters and gutter drains is a great solution. If you are looking for professional gutter repair assistance, call Iron Horse Gutterworks in Syracuse. Do you enjoy planting flowers and shrubs near your house? If so, you are like many other homeowners in Syracuse and you should strongly consider installing gutters. If soil erosion occurs, your garden could literally wash away. Even if there is only minimal erosion, the rainwater run-off will form puddles that will drown your plants, as well as offer an inviting area for mosquitoes to breed. If that happens, then you need gutter drain services. Saturated soil becomes significantly heavier, which means that the water running off your roof and pooling around the house places tremendous pressure on your foundation. Given time, this may cause basement walls to form cracks and even buckle. If you find a few inches of water in your basement, obviously you would clean it up right away. Sometimes, however, the problem isn’t as obvious as standing water, or as easily solved. Keep in mind that excessive moisture also promotes mold and mildew growth which is a health hazard. If you’re looking for professional gutter assistance in Syracuse, we can help. When rain runs down the sides of your house, it carries leaves, dirt, and tiny pieces of asphalt shingles with it. Not only does this result in staining your siding, but it can also begin the process of rotting, especially if your siding is made of wood. Rotten siding leads to holes which invite pests into your home, and if enough water seeped in, could threaten the structural integrity of your home. Even though foundations are strong, they can’t withstand the damage caused by long-term water exposure. Over time, water causes cracks to the foundation and even worse, the water can freeze in the cracks, rapidly increasing the extent of the damage. Gutters are essential for every home. Unless you live in an area where it never rains, having rain gutters installed on your home is crucial. Considering the potential damage to your home and garden, isn’t it worth protecting your biggest investment? Located in Syracuse, Iron Horse Gutterworks has more than 18 years of experience. 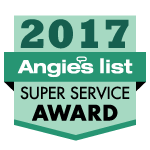 We take great pride in our work and strive to provide the highest quality of customer service. We make sure that all gutters are properly installed and downspouts are in place to divert water into your drain system. Protect your home today. Call and let us know how we can protect your home with properly installed gutters and gutter drains.